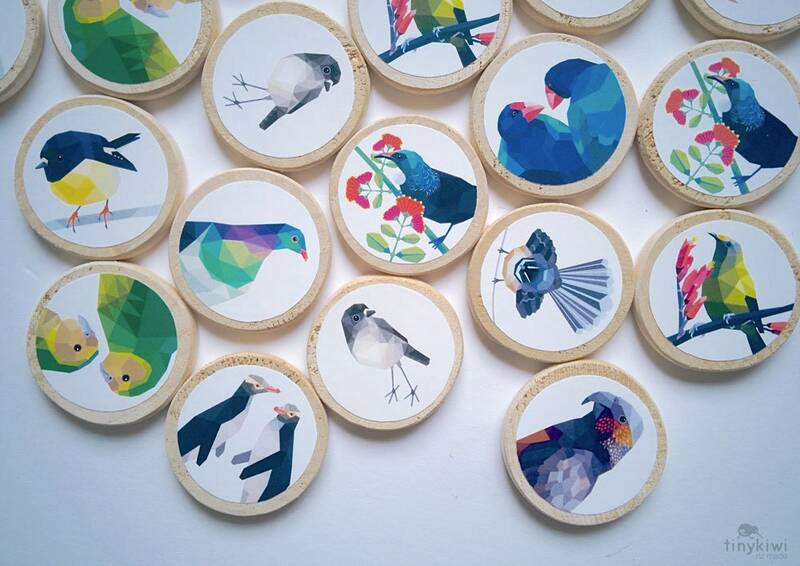 Our limited edition handmade New Zealand memory game. 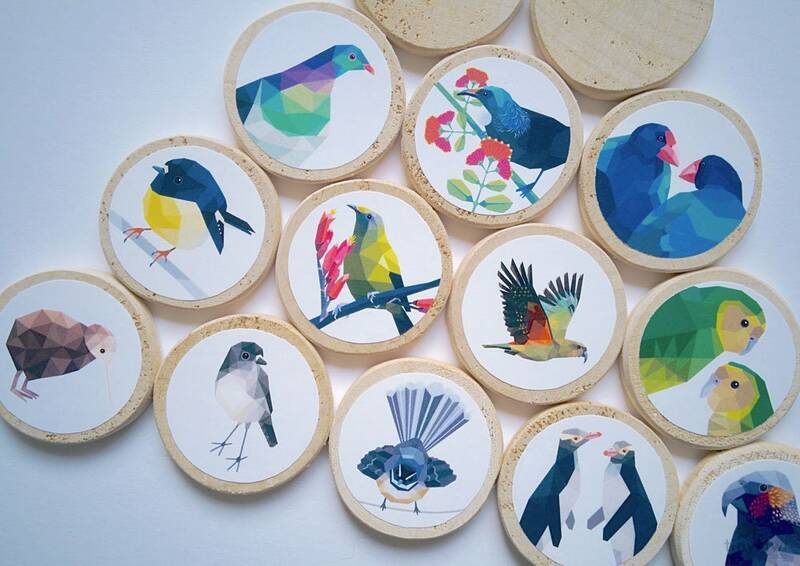 It features 12 native birds. This game is an enjoyable way to learn about NZ's unique wildlife together with your little ones. 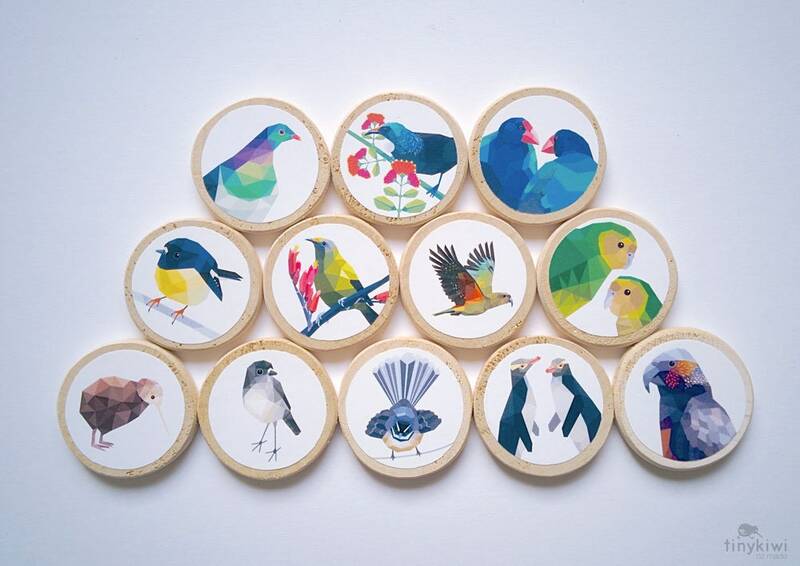 Kiwi, Tui, Bellbird, Takahe, Kereru, Kaka, Kea, Fantail, Robin, Yellow eyed penguin, Tomtit, Kakapo. 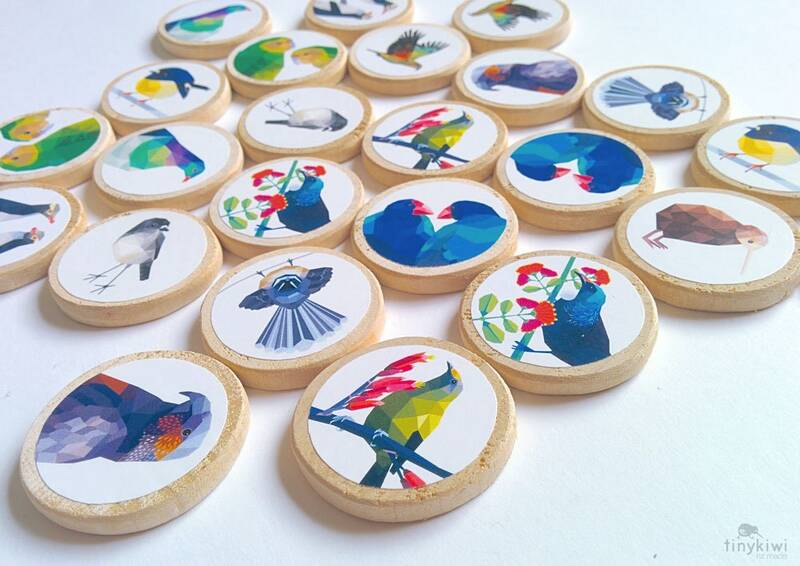 Each piece has been hand cut, sanded and finished. 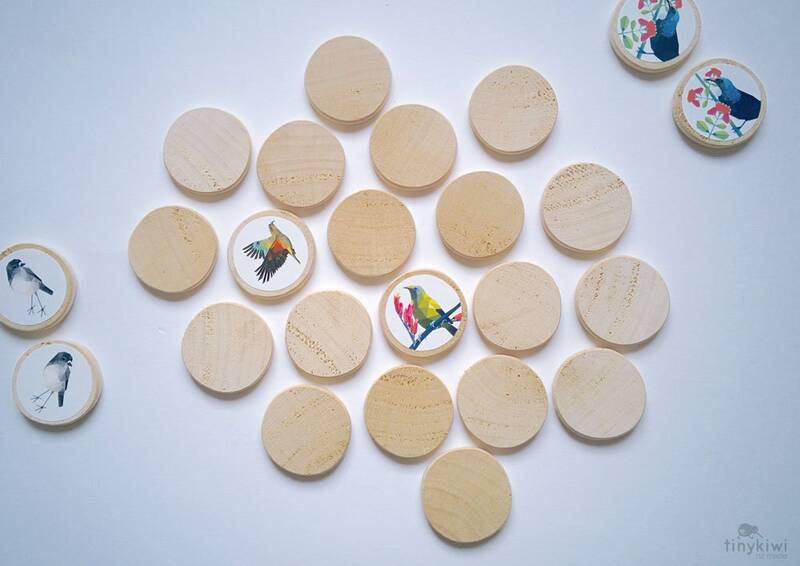 Each wooden circle is sanded smooth and are left naturally uncoated. 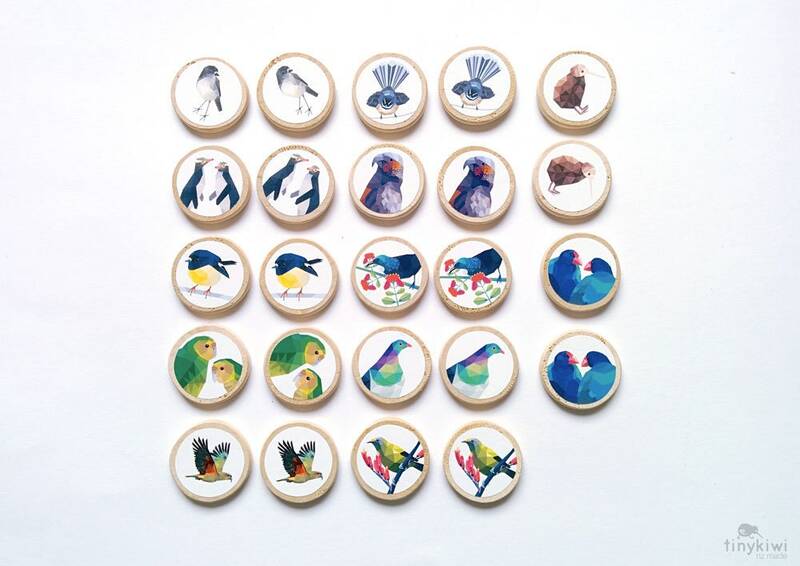 Each piece measures 35 x 5 mm. 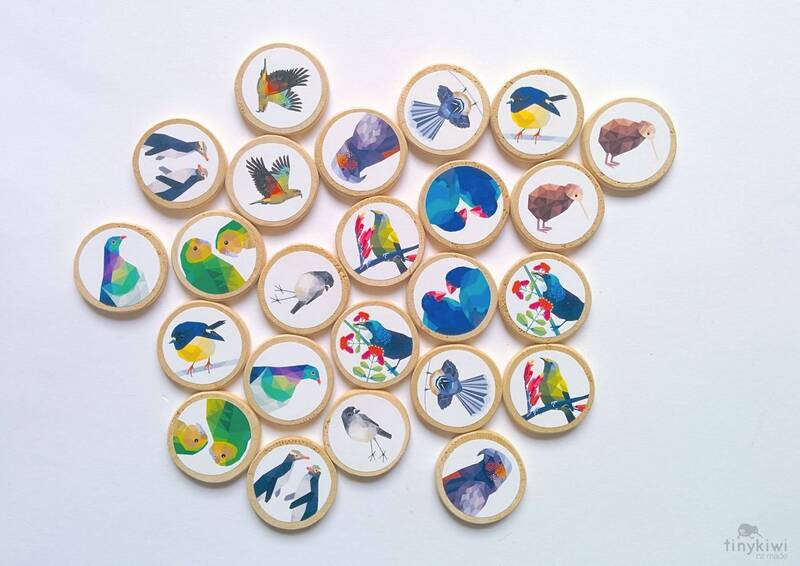 There are 24 pieces, 2 of each bird. 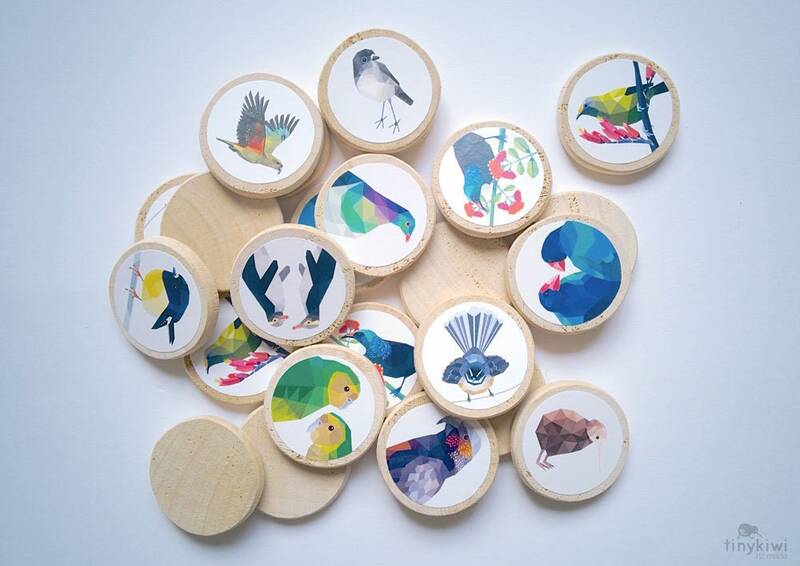 Birds artworks are printed on paper are attached with non toxic glue. It's advised to keep liquids away from these pieces. 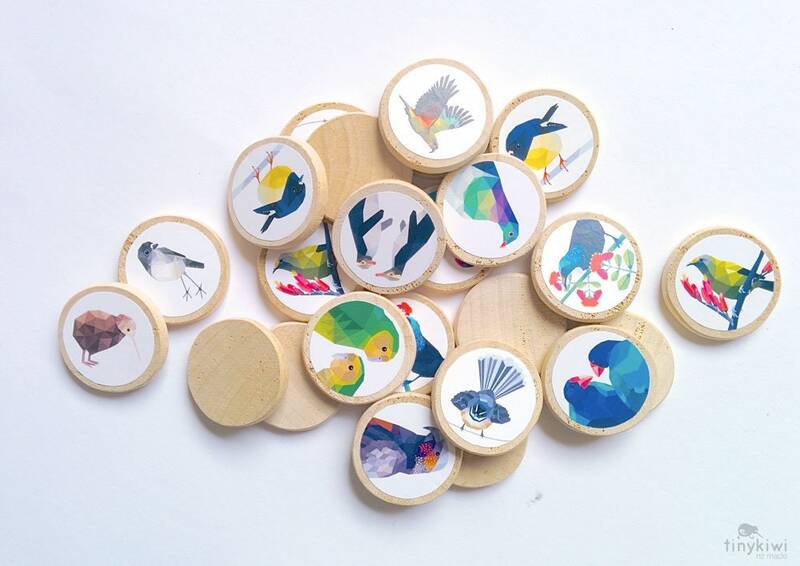 This little game is carefully packed by us, so it arrives in perfect condition by you.